Whether your pipe and mechanical insulation systems have deteriorated over time, or the outdated technology simply is not providing the energy efficiency your facility needs, here are 3 ways to tell if your mechanical insulation system is too old. On average, the life expectancy for an insulation system is 20 years, according to ASHRAE standards. Of course, a well-maintained insulation system will last longer than one that has been neglected. Failing to repair damage or inspect your insulation regularly will cause it to deteriorate more quickly. But, even with perfectly maintained insulation, at 20 years you’re probably reaching the maximum that your system will last while still providing ROI. Beyond the question of upkeep is the fact that insulation technology is far ahead of where it was 20 years ago—and it will continue to move forward over the next 20 years. Facility decision-makers need to consider whether their old mechanical insulation system is still providing ROI compared to the newer technologies available. When efficient repairs can no longer be made to your mechanical insulation system, chances are it is too old. It should be obvious when the costs of maintaining your insulation outweigh the energy-saving benefits. If your mechanical equipment, piping system, or entire facility has gone through a significant upgrade, then there’s a good chance your mechanical insulation system is no longer adequate. 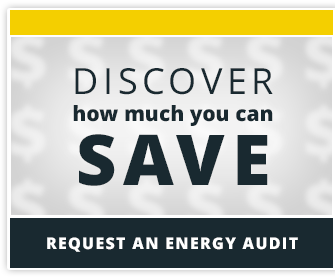 In this instance, we recommend getting an insulation energy audit—a professional report that shows how much (if any) energy your system is losing due to missing or damaged mechanical insulation, and provides details on the money and energy you can save by upgrading your system. During the walkthrough portion of the audit, the insulation contractor can also visually inspect your system to determine whether it is acceptable in light of the facility upgrades. Outdated insulation systems that have exceeded their viability are much more likely to fail, and when an insulation system fails, the consequences can be costly. Mechanical insulation system failure can cause loss of energy, corrosion, mold growth, unsafe conditions, and system downtime—none of which most facilities can afford. If you believe your insulation system is outdated, request an insulation energy audit today.